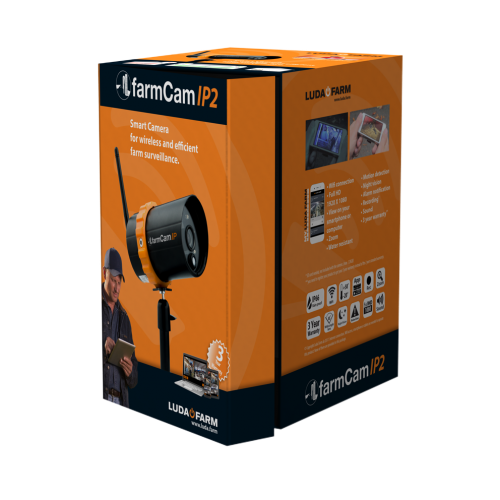 FarmCam HD is a robust and wireless camera system that gives you an overview and control over your farm. 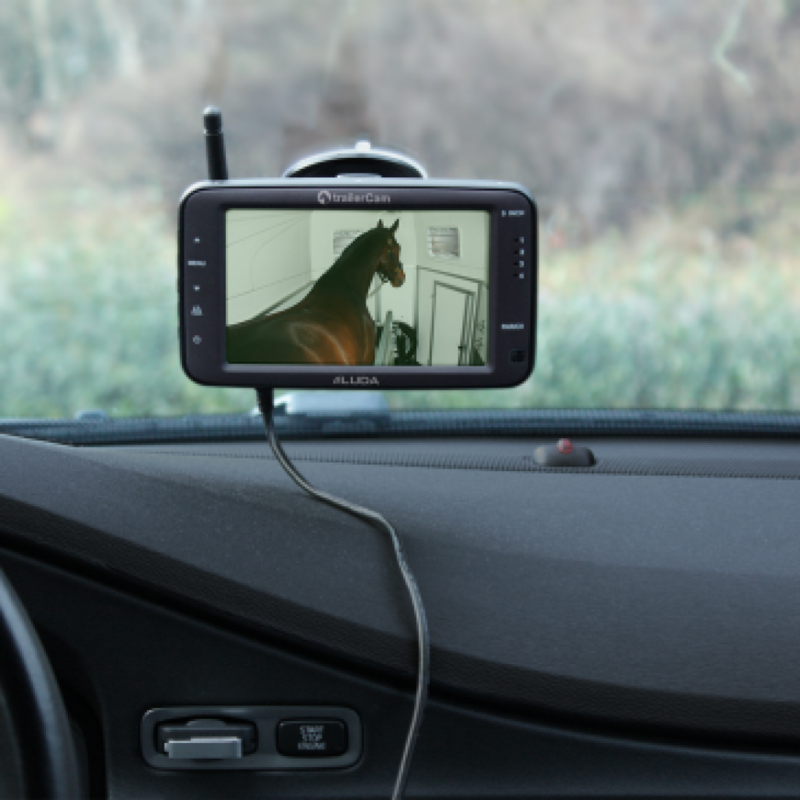 You can keep an eye on your animals whenever you want and wherever you want through your mobile phone. 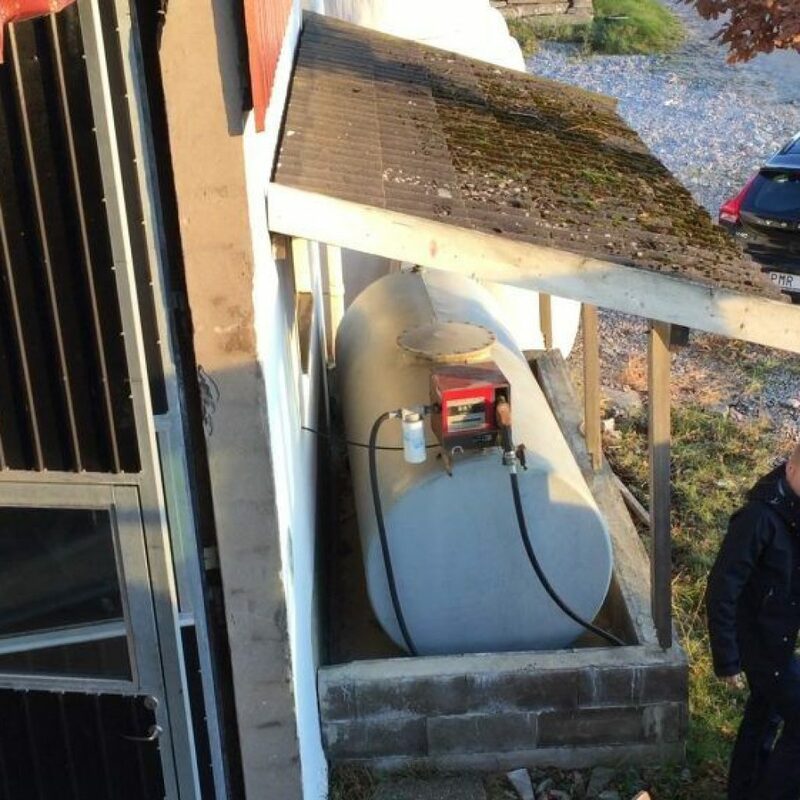 This will make you feel confident that the animals are doing well even when you’re out of place. 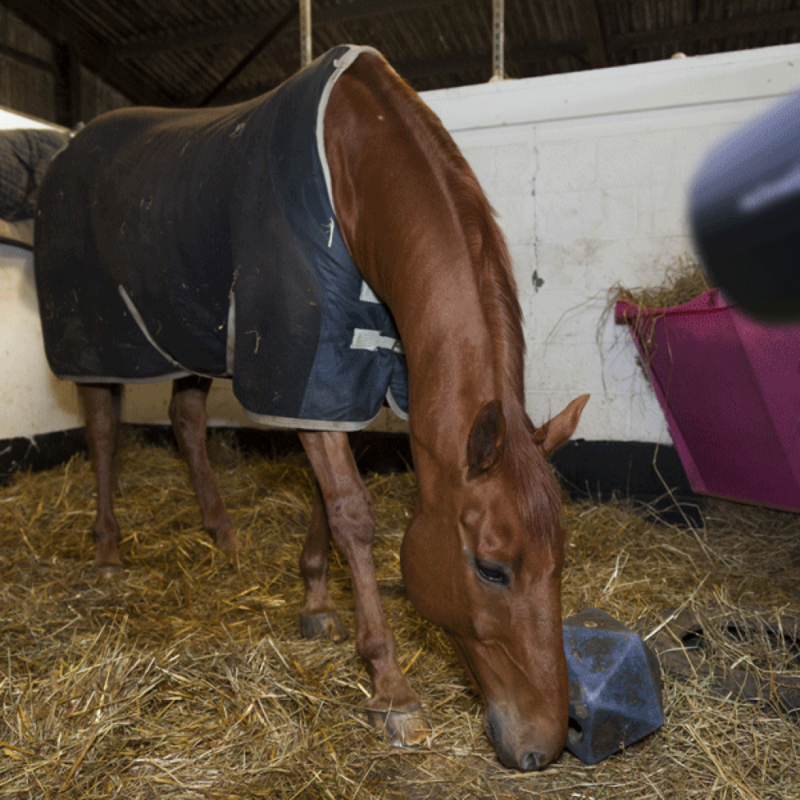 By watching the animals at a distance, you can act faster if something happens. For example, during the calving season you can save calves and cows in time if difficult deliveries occurs. 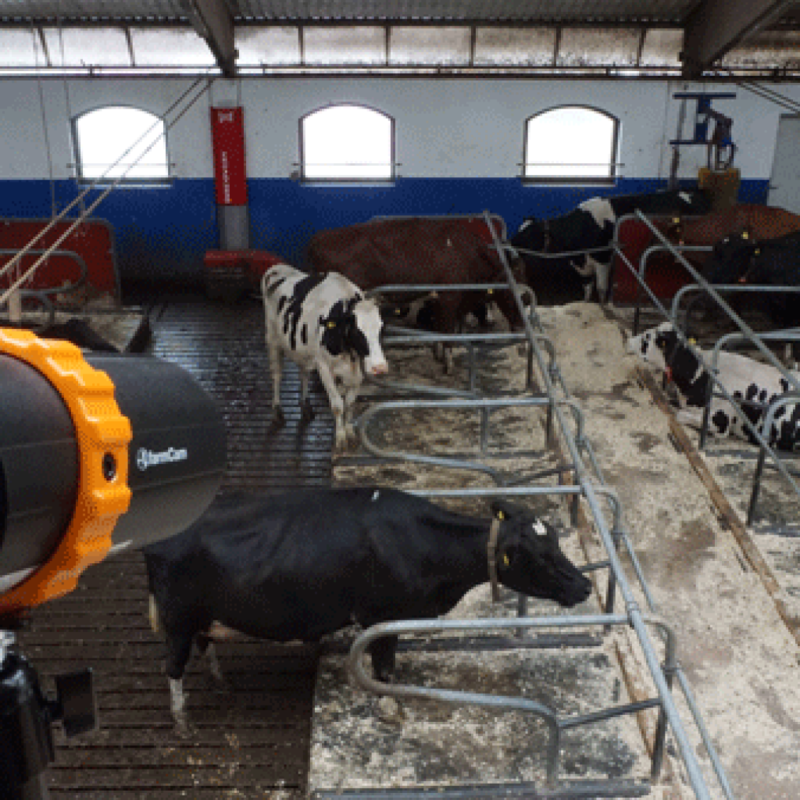 In other words, when you buy a FarmCam HD, you invest in the safety of your animals meanwhile reducing your costs. 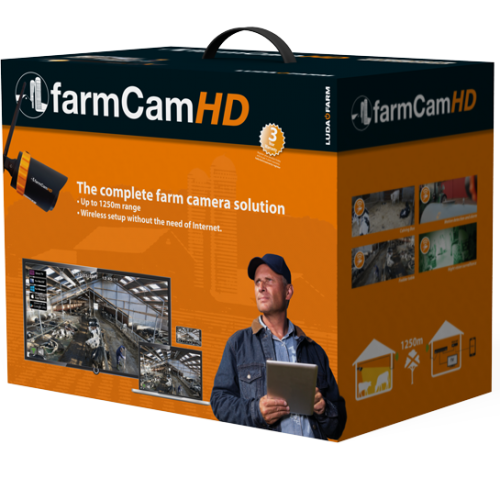 With FarmCam HD you can also monitor unauthorized activity on the farm, such as at the diesel tank. 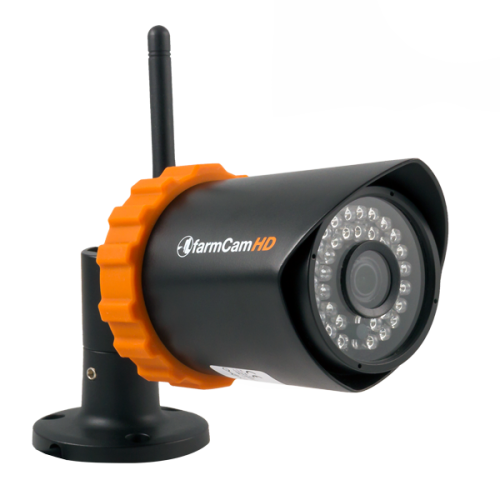 Connect up to 4 cameras, view and zoom on your screen or watch all 4 cameras at the same time to get an instant overview of several areas. 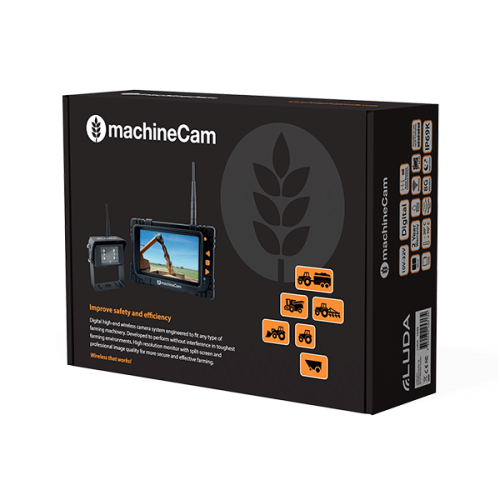 With night-vision, FarmCam HD monitors your farm day and night. 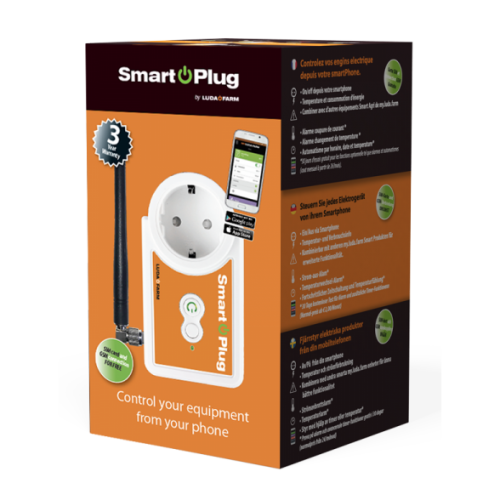 The camera features motion-detection, records both video and sound, and sends notifications and alarms directly to your smartphone or PC if it detects movement outside your working hours. 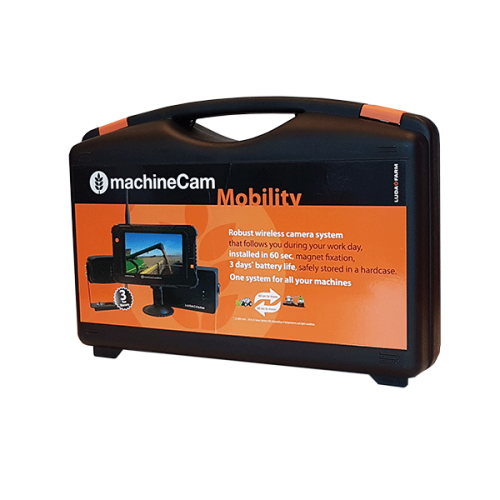 FarmCam HD includes a fully water-proof camera with rugged design that is built to last and comes with a 3-year warranty if you register here. 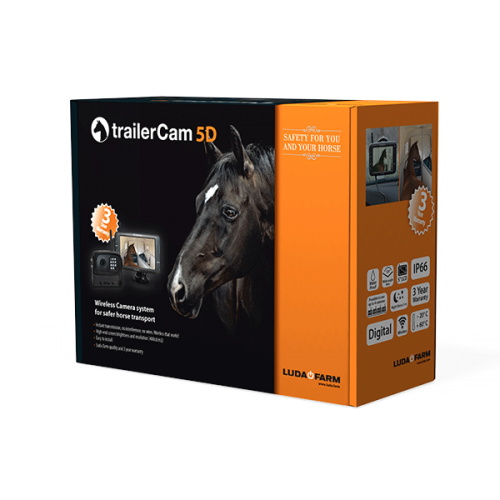 The camera monitors your animals. 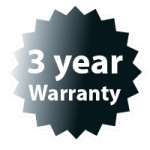 The signal is transmitted through the cable (9- 18m) to the outdoor antenna. 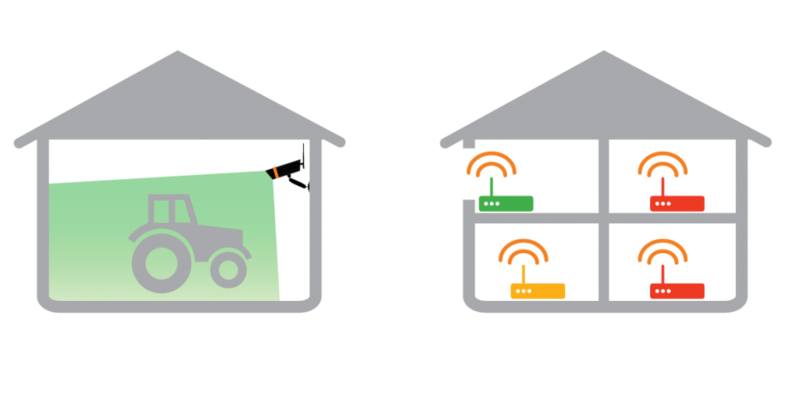 The signal is sent wirelessly to the office/home. 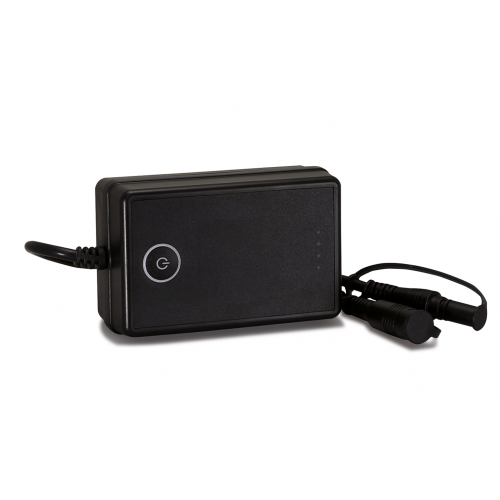 The receiver receives the signal through its outdoor antenna connected with cable (9-18m). 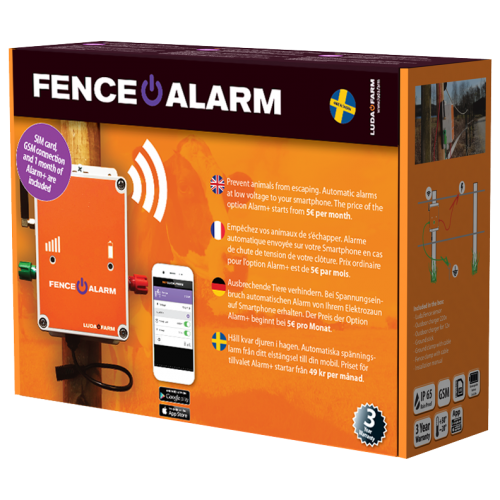 By connecting the receiver to your internet router you can see your animals/barn/buildings/farm wherever you go, using any smartphone, tablet or computer connected to the internet. By connecting the receiver to your TV you can see the camera picture there as well! 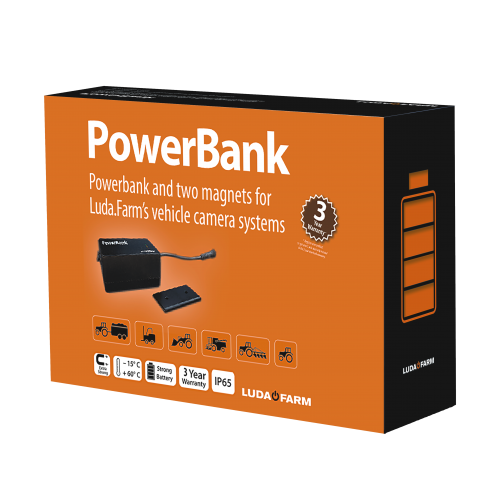 Wireless setup without the need of Internet connection. 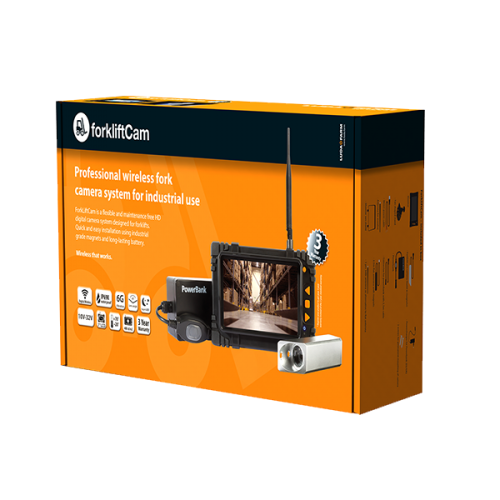 1 FarmCam HD Camera (full HD 1080- IP66) incl. 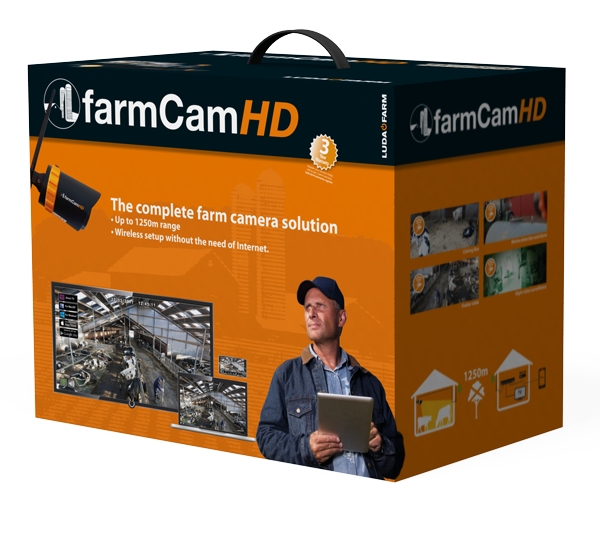 1 Video Box (NVR) for FarmCam HD incl.